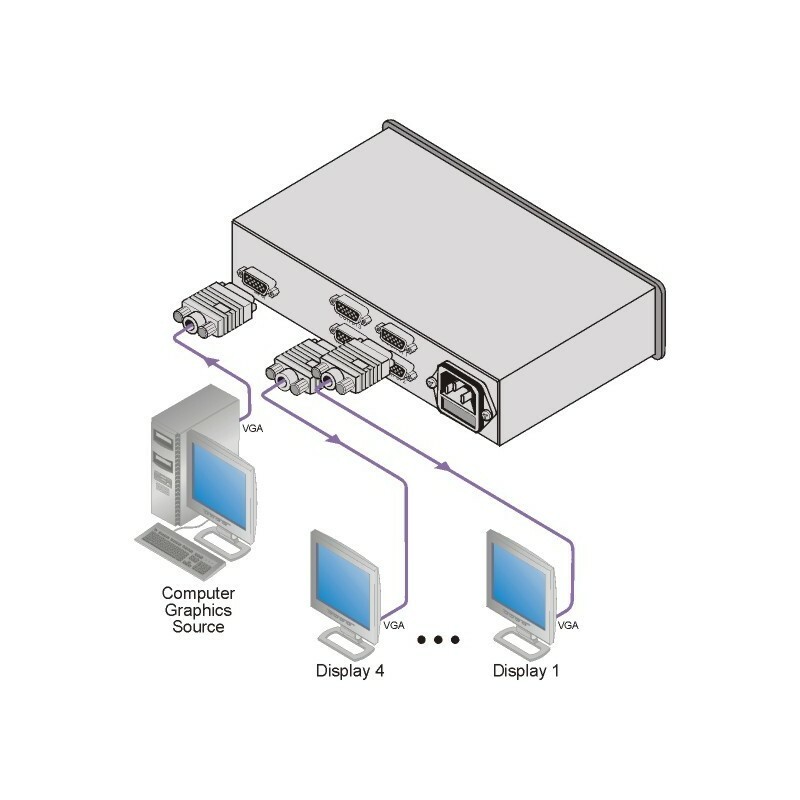 The VP-4xl is a high-performance distribution amplifier for computer graphics video signals with resolutions ranging from VGA through UXGA and higher. 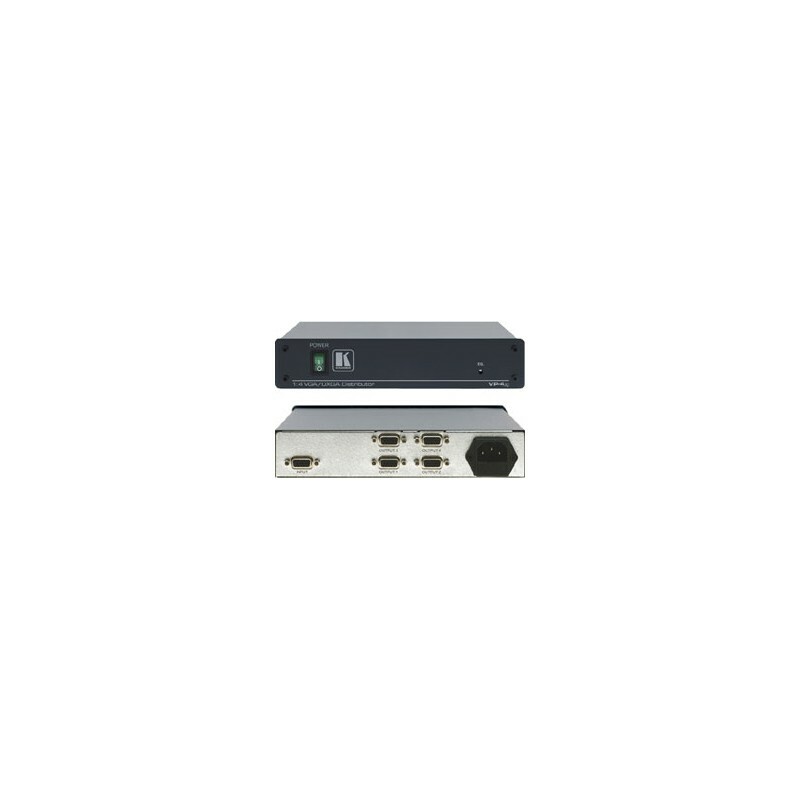 The unit takes one input, provides correct buffering and isolation, and distributes the signal to four identical outputs. High Bandwidth — 375MHz (–3dB). Desktop Size — Compact size. 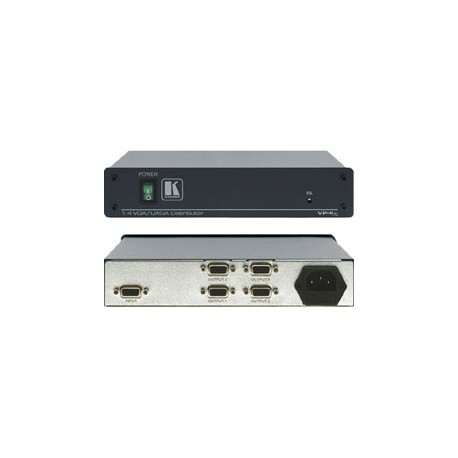 Two units can be rack mounted side–by–side in a 1U rack space with the optional RK–1 adapter. User manual for the Kramer Electronics VP-4xl 1:4 XGA Distribution Amplifier. Technical Datasheet for the Kramer Electronics VP-4xl 1:4 XGA Distribution Amplifier.